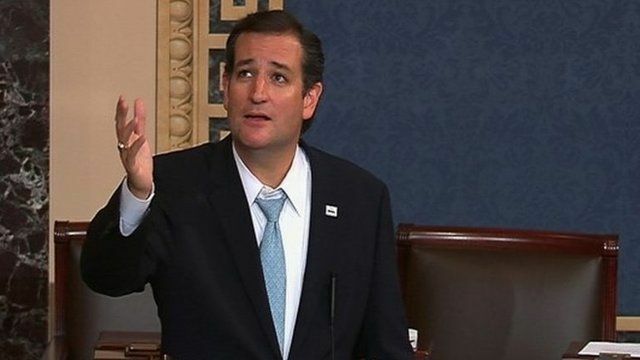 Republican Senator Ted Cruz held the Senate floor for more than 21 hours in a speech against President Barack Obama's healthcare reform law. While Sen Cruz's lengthy speech now ranks among the longest in Congress, it is not viewed as technically a filibuster, as it could not hold up Senate business. In addition to speaking against the US health law, which conservative Republicans seek to defund before a major implementation deadline on 1 October, Sen Cruz also read the classic children's book Green Eggs and Ham by Dr Seuss as a bedtime story to his two children.